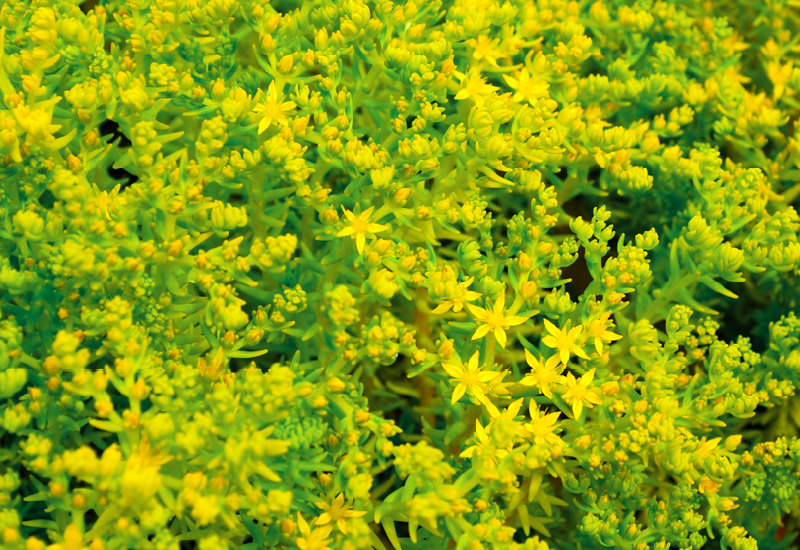 Sedum Aureum is the ideal choice if you wish to add some exciting contrast to a mixed planting. A carpet of tiny leaves with buttery yellow tips, it really stands out among it’s green friends. In summer you’ll be thrilled to see the golden star flowers sparkle in the sun!